As the Lae Botanic Gardens are becoming closer to be re-opened to the public later this year, Lae based, tier one contractor Northbuild PNG has jumped in with its own support to the National Botanic Gardens LAE Advancement Program. Northbuild has generously supplied a large contingent of workers and resources to re-build the existing ablution buildings â€“ vital to the successful opening strategy. Northbuildâ€™s efforts are a fantastic example of how the business community can help to put in place vital infrastructure and services to enable visitors to spend quality time in their natural environment. Northbuildâ€™s six workers were excited to help re-build the ablution block so that the gardens can be re-opened and their families can re-visit the gardens like they did in their younger years. Northbuildâ€™s Director Mr Paul Boddington saysÂ ” Northbuild congratulates the Friends of the Lae Botanic Gardens in their effort to re-open the gardens and are very happy to assist in this endeavour”. 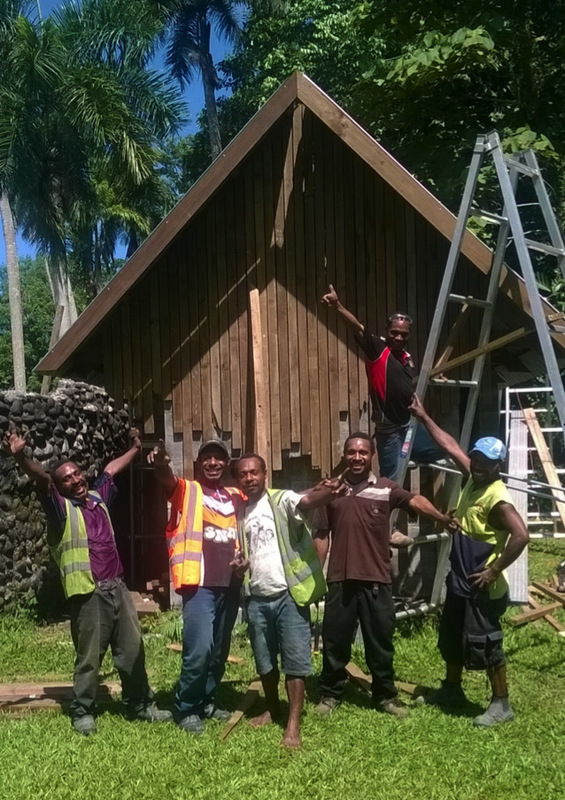 Papua New Guineaâ€™s Forest Research Institute Acting Director Martin Golman says â€œ The FRI are extremely grateful for Northbuildâ€™s contribution to the Advancement Program. Supplying essential infrastructure is an important step to our program and will allow us to re-open the Gardens in October. Thank you very much Mr Boddingtonâ€. Along with partners, the PNG Forest Research Institute and the Friends of the Botanic Gardens Lae are making good progress andÂ continue to reach out toÂ business houses and other partners to come on board.Â For more information on getting involved, please contact the Curator, Michael Lovave at the PNG Forestry Research Institute on 472 1041 or 472 4188 or email mlovave@fri.pngfa.gov.pg. 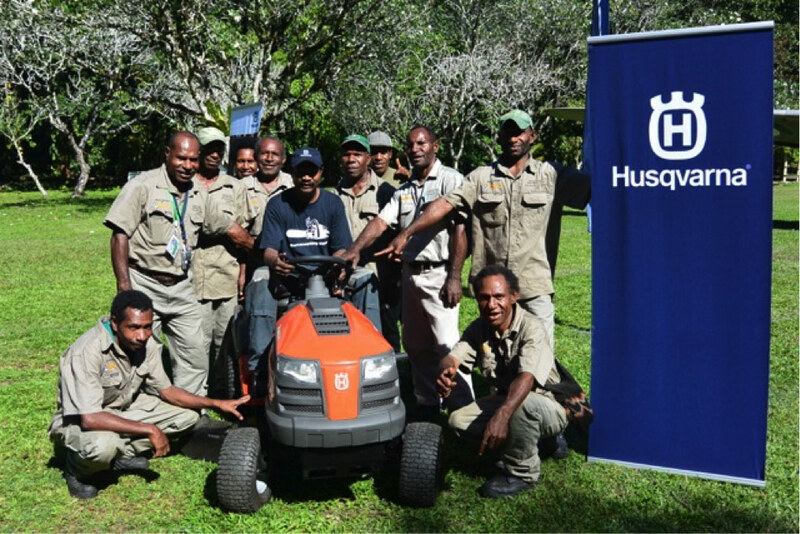 Husqvarna & Farmset the latest business to contribute to the Lae National Botanic Gardens Advancement Program with a much needed Husqvarna ride-on mower. 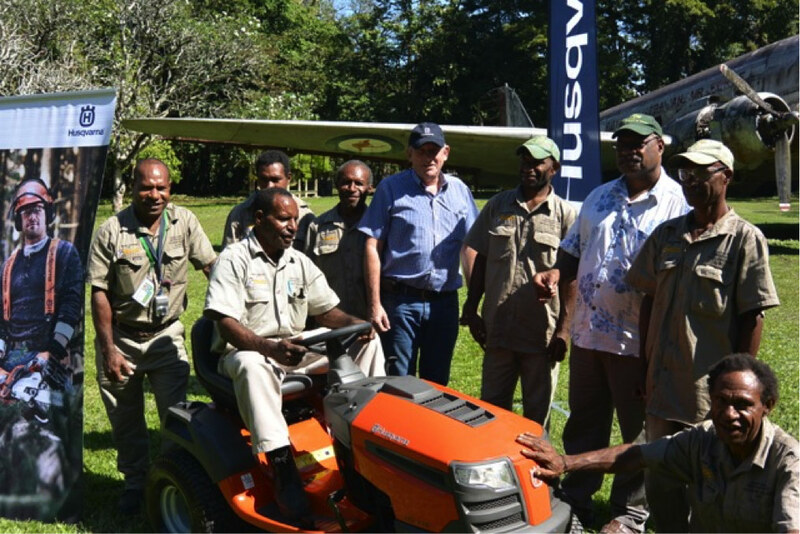 Lae, Morobe Province, PNG, 6th August, 2015 â€“ The National Botanic Gardens (Lae) Advancement Program has received another exciting boost to their operations with the generous donation of a brand new Husqvarna ride-on mower on Monday 4 August 2015. Husqvarna & Farmset Limited, who donated the machine, are the latest international & local business to contribute to the program that aims to revive the gardens and re-open to the public in October 2015. 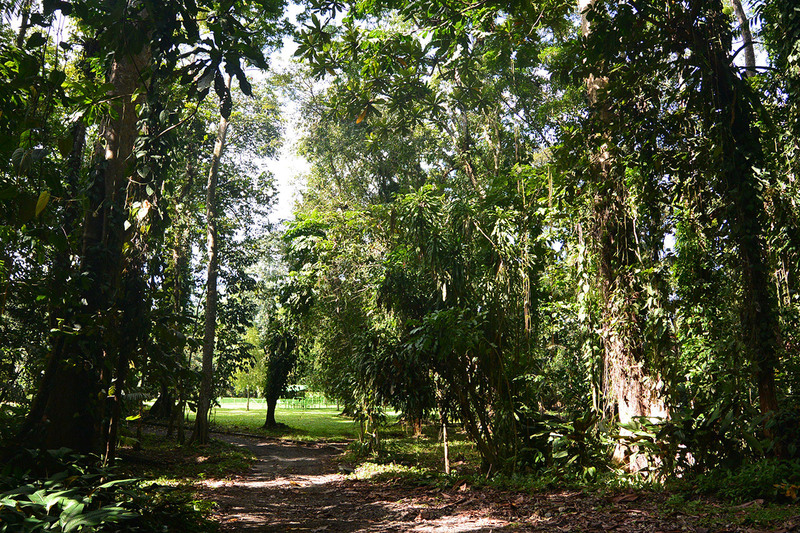 Initiated in 2014 by Friends of the Lae Botanic Gardens, the Advancement Program has gone from strength to strength in 2015, largely thanks to backing from local and international businesses interested in the regeneration of the gardens as a safe and secure public space for the whole community of Lae and visitors to enjoy. Centrally located in Lae and once internationally renowned for its diversity, the gardens sprawl across 38 hectares which is a lot of upkeep for the small team of eight grounds workers. Up until now, the vast lawns were maintained with a tractor and small push-on mowers, a task that took up much of the gardeners time and did not produce quality lawns for the public to enjoy. Farmset is a 100% Papua New Guinean owned company that has been operating since 1969 and is now a leading supplier of products and services for the agricultural sector in PNG. Johnny from Farmset delivers training to PNGFRIâ€™s seven grounds people: From Left Taikone Embe, Michael Lovave, Hemmy Yossam, Matela Stephen, Klain Yatu, Brown Gispe Kalpe, Theo Tuiwain, Paul Kaike, Jackol Anga. Farmset delivers training to PNGFRIâ€™s seven grounds people: From Left Michael Lovave Theo Tuiwain, , Taikone Embe, Klain Yatu, Merv Stephens, Paul Kaike, Dr Martin Golman, Hemmy Yossam, Jackol Anga.